Our vision as a church for our children’s ministry is for your children to enter into an environment where it is easy for them to know, grow, serve and go. We desire for them to know who Jesus is and grow in their relationship with him. We want your children to learn how to serve inside and outside of the church in order for them to take their ministry into the world for the rest of their lives. WHAT DO SUNDAYS LOOK LIKE FOR KIDS AT CHARITY? This is our very own "preschool" church service! Our loving leaders cherish every moment with the children. They experience game time, craft time, snack, worship and a lesson every Sunday morning. Jr. Fired Up takes place from 10:30- noon, in the RDC center located beside the main sanctuary. Your little one is going to love it here! The children here love Sundays. 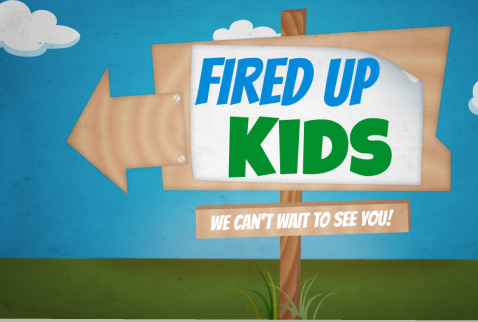 At 9:30am all children, 1-6th Grade meet in the RDC for a Pre-Fired Up experience. This includes a welcome from one of the leaders, a quick video showing the children what they are going to be focusing on today, an emphasis on scripture memory, and breakfast.